Managed cap relocation programs provide several benefits for companies and transferees. These programs provide services and allowances up to a specific capped dollar amount. This amount is set by the employer and noted in the company’s relocation policy. Companies seeking to develop a relocation program often inquire about traditional lump sum programs. However, once they learn about the top 5 benefits of managed cap programs, most companies prefer them over lump sum programs. What is a Traditional Lump Sum Relocation Program? A traditional lump sum relocation program is simple in its approach. Basically, an employer provides a relocating employee a specific amount of funds. The relocating employee works with a Relocation Management Company (RMC) to choose services within the parameters of their employer’s relocation policy. As a result, the employer has little involvement in the relocation beyond arranging the funds. What are the Disadvantages of a Traditional Lump Sum Relocation Program? There are some disadvantages of a traditional lump sum relocation program. First and foremost is the relocating employee’s lack of expertise in making all of the arrangements to facilitate their move. Many people remember times they have moved to a new location, experiencing various challenges along the way. If these experiences are not all favorable, the memory of that experience may alter their perception of their new location, employer, or assignment. Also, any issues that arise may result in delays for the relocating employee to start their new position. If the lump sum amount is paid as a bonus on an employee’s paycheck, the amount will be taxed as income. As a result, this greatly reduces the amount of the relocation benefit to the employee. Managed cap relocation programs include support services from the RMC. Relocating employees receive policy counseling from experts to help them allocate their relocation funds. The RMC answers employee questions and acts as a guide through their relocation process. Relocating employees in managed cap relocation programs experience fewer budget overages. Also, these employees consistently report higher satisfaction levels than those employees who use traditional lump sum relocation programs. What Should Employers do Regarding Managed Cap Relocation Programs? Companies currently looking to implement a lump sum relocation programs should consider implementing managed cap relocation programs. Companies will gain 5 distinct benefits by choosing this type of relocation program instead of a lump sum relocation program. Also, they will experience higher relocating employee satisfaction levels. 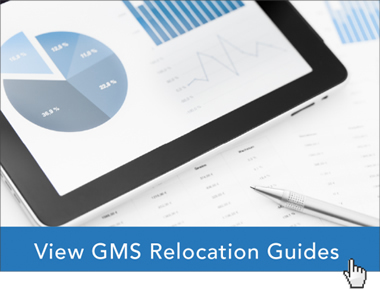 GMS’ team of global relocation experts has helped thousands of our clients determine the relocation program that is the best fit for their organization and employees. As a result, our team can help your company understand how to gain the 5 benefits of managed cap relocation programs. Learn best practices from Global Mobility Solutions, the relocation industry and technology experts who are dedicated to keeping you informed and connected. Contact our experts online to discuss your company’s interest in managed cap relocation programs, or give us a call at 800.617.1904 or 480.922.0700 today.